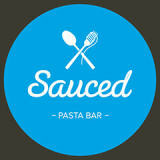 In 2 hotspot locations Camberwell and Windsor, you’ll find Sauced Pasta Bar. They serve delicious and fresh pasta, catered to your particular taste. For the health conscious, Sauced offers “veggie pasta.” You can replace your pasta with cauliflower rice, sweet potato, zucchini- or many other vegetables. Now you can still get your pasta fix on a diet! Perfect for those fussy eaters, Sauced allows you to entirely create your own pasta masterpiece. 1. Pick your sauce- stick with a classic or try an original. 2. Pick your pasta! You could try a veggie pasta, gnocchi, fettucini, spaghetti, penne or one of their ravioli variations. 3. Pimp your pasta with extras like chicken, avocado, olives or cream. And there you have it… your perfect pasta. Great date food... Not suitable for white attire. Pair it with a serve of their housemade, Belgium chocolate filled donuts, served with vanilla bean ice-cream. The 2 different locations all boast an exciting interior, nothing like you’d find at your normal pasta joint! All have gorgeous greenery spread throughout, with exposed brick walls, radiant and trendy pendant lighting. You’re bound to enjoy the space almost as much as you will the food .